The CTD instrument is designed to monitor the distribution and variation of water temperature, salinity, and density. 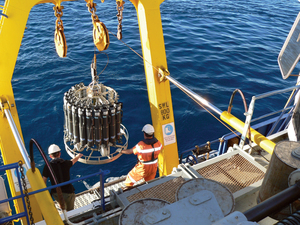 It is used to collect water samples at specific depths. Photographer : Bob Beattie on August 07 2008.